J.D. Power recently published its 2013 Credit Card Satisfaction Study, and few were surprised to see American Express romp home ahead of the field. It has been first past the post for each of the survey's seven years. However, the race was incredibly close as Discover galloped hard to the finish line, all but closing the gap on the frontrunner and forcing a photo finish. 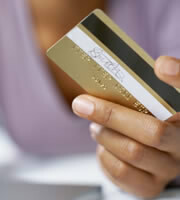 The average score for all credit card companies in the survey was 767 out of a possible 1,000. American Express received 816 (compared with 807 last year), and Discover 812 (up from 2012's 799). Those were the only two to be awarded the maximum five Power Circle Ratings, a coveted accolade among purveyors of plastic. Appropriately named Chase came in third with a highly creditable (forgive the pun) 783. It was alone in receiving four-circle ratings. Three card issuers brought up the rear with just two-circle ratings each: GE Capital Retail Bank, Citi and HSBC, in that order. The five others featured in the survey, all of which are household names, each received three circle ratings. This year's industry average score of 767 shows an overall improvement in consumers' satisfaction with card issuers, and was up 14 points on 2012's 753. This seems to be becoming a trend, when you consider scores of 731 in 2011 and 714 in 2010. In 2010, of course, both credit card companies and their customers were still struggling with the aftereffects of the Great Recession, and neither viewed the other especially kindly. The fact that both now feel less financially challenged (along, perhaps, with the impact of the Credit CARD Act of 2009) may have contributed to a less fraught relationship. The J.D. Power survey revealed some odd facts about consumers and their rewards credit cards. Only 59 percent reported that they fully understood how their rewards programs worked. Incredibly, that was actually down on 2012, when the same number was 66 percent. At the same time, a majority said that finding a better rewards program was their main driver for switching plastic. Fewer than half (47 percent) claimed they fully understood their credit card terms. Nearly three in four (73 percent) said they were unclear about their credit card rates. Presumably, that means that more than one in four believed they "completely" understood their cards' terms while simultaneously being unclear about arguably the most important one: the interest rate they're liable to pay. This may be worrying from a consumer advocate's standpoint, because those who don't fully comprehend their rights and obligations could eventually find themselves in trouble. But it has more practical consequences, too. J.D. Power found that 33 percent of survey respondents reported they were unaware of all the benefits associated with their plastic. Among the two-thirds who said they were aware of those benefits, those who took advantage of them spent on average $400 a month more on their cards than those who didn't. No wonder Jim Miller, J.D. Power senior director, observed in a written statement: "There is a clear opportunity for issuers to better communicate rewards programs and benefits to not only keep customers loyal, but also to attract new customers." Maybe that was a written understatement. Of course, the issue may be one of complexity as well as education. If credit card companies made their rewards programs less complicated, those who are too busy to worry about the minutiae of earning and redeeming points, miles and cash back (let's call that group "Americans") would be in a better position to reap their rewards. To be fair, some issuers do offer excellent and simple rewards credit cards. No matter how busy you are, it may pay you to add an item to your to-do list: "Check what benefits my cards have." Some, such as bill payments, concierge services and mobile apps, could ultimately save you time. Others, including hotel discounts, extended warranties, price protection and purchase protection, could save you money -- sometimes serious money. You might also find useful automatic account alerts sent by text or email, and an ability to choose your own payment due date. Not all credit cards offer all these, but if you know which ones yours provide, you could genuinely find yourself better off. 0 Responses to "American Express, Discover top J.D. Power credit card list"